This post originally appeared in the Mayo Clinic Center for Regenerative blog. Since 2007, Mayo Clinic and Cardio3 BioSciences, a biotechnology company based in Mont-Saint-Guibert, Belgium, have collaborated to advance our knowledge of disease in order to provide new solutions for patients and innovative delivery of quality care in the area of cardiac regeneration. Cardiac regenerative medicine uses reparative tools to restore damaged tissue and restitute function caused by heart disease. Cardio3 BioSciences has successfully developed Mayo Clinic innovation leading to completion of a phase II trial on cardiopoetic stem cells in patients with heart failure. The Food and Drug Administration (FDA) has recently cleared the way for the Belgian company and Mayo Clinic to launch a phase III clinical trial of its stem cell therapy based on Mayo Clinic regenerative medicine research later this year. Clinical application of regenerative biologics has emerged as a next generation tool that can be tailored to augment existing therapeutic strategies for otherwise incurable diseases, including heart failure. By leveraging research collaborations, such as with Cardio3 BioSciences, Mayo Clinic is positioned to transform the way we treat patients with heart disease. In collaboration with Cardio3 BioSciences, Mayo Clinic researchers have discovered a novel way to repair a damaged heart by regenerating heart tissue. In Mayo Clinic's breakthrough process, stem cells are harvested from a patient's bone marrow. The stem cells undergo a laboratory treatment that guides them into becoming cardiac cells. The treated cells are then injected into the patient's heart in an effort to grow healthy heart tissue. “In regenerative medicine, the step between lab tests and clinical trials is a big one and the interaction with Cardio3 is crucial to driving Mayo Clinic's technology forward," says Atta Behfar, M.D., Ph.D., who spent several months in Belgium working with Cardio3 BioSciences. Dr. Behfar, a heart failure and transplant specialist, leads the Cardiac Program in the Mayo Clinic Center for Regenerative Medicine. In late 2013, Mayo Clinic researchers and Cardio3 BioSciences developed a specialized catheter for transplanting stem cells into the beating heart. The novel cardiac catheter is able to dramatically improve stem cell retention in the heart. The device includes a curved needle and graded openings along the needle shaft, allowing for increased distribution of cells. The result is maximized retention of stem cells to repair the heart. The findings appear in the journal Circulation: Cardiovascular Interventions. This new catheter is being used in the European CHART-1 clinical trials, now underway. This is the first Phase III trial to regenerate hearts of patients who have suffered heart attack damage. The studies are the outcome of years of basic science research at Mayo Clinic and earlier clinical studies with Cardio3 BioSciences and Cardiovascular Centre in Aalst, Belgium. Watch the video below to see how stem cells are being used to treat people with heart failure. Most recently, Mayo Clinic and Cardio3 BioSciences entered into an extended collaboration agreement. It builds on a long established and productive relationship of licensing and research in the area of cardiac regeneration. The mutual hope for this work is that together Mayo and Cardio3 BioSciences can accelerate Mayo discoveries toward clinical application. Under the Preferred Access Agreement, the parties have agreed to regular periodic meetings to review Mayo’s regenerative medicine portfolio to identify areas and projects of mutual interest. The results of these conversations could potentially lead to cooperative research projects, license agreements or introductions to third parties to further the technology. 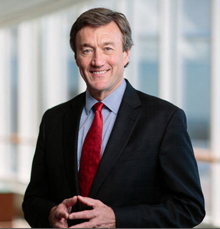 “We are excited for the opportunity to expand our collaboration with Cardio3 and accelerate the delivery of novel therapies to patients”, says Clark Otley, M.D., Medical Director of Mayo Clinic Ventures, which works to commercialize Mayo Clinic technologies for the benefit of patients worldwide. The Center for Regenerative Medicine continues to explore strategic relationships with academic, biotechnology/industry, government and professional associations at the local, regional, national, and international level. For more information, visit the Mayo Clinic Center for Regenerative website or email RegenMed@mayo.edu. I would like to learn more about stem cell research to help with non-ischemic cardiomyopathy. Also are any health insurance providers utilizing this as a viable option in treatment? If not any ongoing trails? Lastly what cost for procedure if paid outright? What is the criteria if you would like to be considered for procedure?